Oscha Coorie Carriers There is 1 product. The Coorie is luxury baby-carrying at its best. 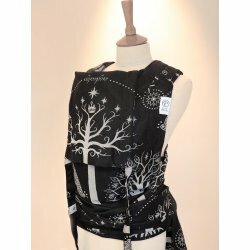 This innovative Meh Dai style Soft Structured Carrier is easy to use, elegant & feels as snug & fitted as a woven wrap. The Coorie is painstakingly made by highly skilled seamstresses in our Scottish studio. FABRIC COMPOSITION: 100% organic combed cotton.